Excalibur is the sword of King Arthur in Sir Thomas Malory's iconic work Le Morte D'Arthur published in in 1485 CE. The sword was originally introduced in Geoffrey of Monmouth's History of the Kings of Britain (1136 CE) as Caliburnus (or Caliburn) and further developed by later writers before Malory immortalized it in his work. The sword, from its first appearance, is a powerful weapon in the hands of a skilled warrior and retains that reputation in every story which features it. As with many other magical or powerful swords in legend or mythology, it is identified with a single hero and should not be allowed to fall into the hands of an enemy owing to its inherent power. In the case of Excalibur, when Arthur is dying of his wounds following his battle with Mordred, it must be returned to its source, the Lady of the Lake, rather than being entrusted to whichever knight - no matter how noble - might succeed Arthur as king. This rule does not always hold true in every version of the legend, however. In the poem Conte du Graal, Provencal poet Chretien de Troyes (c. 1130 - c. 1190 CE) makes Excalibur (called Escalibor) Sir Gawain's weapon. In the Vulgate Cycle (1215-1235 CE) and the Post-Vulgate Cycle (c. 1240-1250 CE) Arthur presents Gawain with Excalibur who then loans it to Lancelot for his defense of Guinevere. Gawain then returns the sword to Arthur for his final battle with Mordred and, afterwards, it must be returned to the Lady of the Lake. The concept of a "sword of power" did not originate with the Arthurian legend. Greek mythology mentions a number of magical swords and, especially, the harpe used by the titan Cronos to overthrow his father Uranus. Julius Caesar's sword, the Crocea Mors was supposed to have supernatural powers as was the Sword of Mars wielded by Attila the Hun. The Gianjiang and Moye swords of the Chinese Spring and Autumn Period are also supposed to have been imbued with great power by their makers. Excalibur is frequently associated with another Arthurian motif, the Sword in the Stone, but these are actually two different swords. In the biblical Book of Genesis, after the Fall of Man, God sets his cherubim to stand watch to the east of the Garden of Eden along with a flaming sword "which turned every way" to prevent Adam and Eve from returning. The Shinto storm god Susanoo finds a magical sword in the tail of a dragon and this eventually became part of the Japanese imperial regalia. Norse mythology frequently makes use of magic swords, such as Gram, the weapon of Sigmund and his son Sigurd and the Celts wove a number of magical swords into their tales, including the Claiomh Solais (kleeve sollish), the Sword of Light which triumphs over darkness. The 11th century CE Spanish hero El Cid was claimed to have two magic swords and the 8th century CE French champion Roland wielded his famous blade Durendal and fell with it defending the Pass of Roncevaux in the epic Song of Roland. Although there are these precedents for earlier magical or supernaturally powerful swords, Excalibur is arguably the most famous. It is frequently associated with another Arthurian motif, the Sword in the Stone, but these are actually two different swords. In some versions of the legend, the Sword in the Stone is broken in Arthur's first battle and is replaced by Excalibur while, in others, the Sword in the Stone substantiates Arthur's right to rule (as only he can draw the blade from the rock) as the son and successor of Uther Pendragon while Excalibur serves as a symbol of his power as king. The name Excalibur may originate in the work Culhwch and Olwen from the Mabinogion, a collection of Welsh legends, if one accepts a date of composition as c. 1100 CE. The Mabinogion only exists in manuscripts from the 13th and 14th centuries, however, and some scholars date it at 1200 CE. In this tale Arthur's sword is called Caledvwich which derives from the Latin chalybs ("steel" or "iron") and means "hard cleft". Caledvwich as the name for a sword of power most likely comes from the mythological Irish blade Caladbolg (which means "voracious") carried by the king Fergus mac Roich in the Ulster Cycle of Irish mythology. Geoffrey of Monmouth calls Arthur's sword Caliburnus in Medieval Latin which is a more direct use of the Latin chalybs as "steel" but denotes a particularly hard or effective blade. Essentially, by the time Geoffrey was writing, the name of Arthur's blade would be understood as "famous sword" or "great sword" because of the earlier associations of chalybs with mythological weapons. The French poet Wace (c. 1110-1174 CE) translated Geoffrey's work into Old French vernacular and re-named the sword Chaliburn. Chretien de Troyes changed the name to Escalibor. When the Arthurian legend was translated into English, Chaliburn/Escalibor became Excalibur. Malory, drawing on the Vulgate Cycle, calls Arthur's sword Excalibur shortly after Arthur has found and drawn the Sword in the Stone, linking the name with that weapon, and this association has stuck. Later, however, once this first sword is broken in battle, it is made clear that Arthur must receive the "true Excalibur" from a mystical source, the Lady of the Lake, and Merlin (who seems to be the magical force behind both swords) guides him to the place where it will be offered to him. No explanation is given as to the meaning, power, or origin of the sword and, in fact, Malory focuses more attention on the scabbard. Whether presented as the Sword in the Stone or given by the Lady of the Lake, it is clear Excalibur comes from another realm. This motif follows from an established paradigm in Celtic lore of magical weapons, such as the spear of Cuchulain or the sword of Fergus mac Roich, having been forged in a mystical realm. The same device, however, is used in legends from many cultures around the world. The great swords of Gianjiang and Moye, for example, also have mystical origins. In the case of Excalibur, the sword develops from a mighty weapon to a symbol of divinely inspired justice and redemption. When the weapon is first mentioned in Geoffrey of Monmouth's work, no magical attributes are ascribed to it. Arthur confronts Lot early in Malory's version of the legend and it seems as though Excalibur is the same sword as the one Arthur earlier drew from the stone. This has caused confusion between two weapons which are often identified as the same but are not. The concept of the Sword in the Stone was added to the Arthurian legend by the French poet Robert de Boron (12th century CE) in his Merlin. Robert de Boron presents the sword as anchored in an anvil which later writers changed to a stone. The Vulgate Cycle of the legend differentiates between the sword that Arthur drew from the stone and Excalibur and this tradition is continued in the Post-Vulgate Cycle and repeated in Malory's work. This detail becomes significant later in Malory's version of the story when Arthur's sister, Morgan le Fay, steals the scabbard. She had hoped to defeat Arthur through magic by pitting her lover Sir Accolon against Arthur, giving Accolon the true Excalibur and Arthur a fake (a plot device taken almost directly from the Irish Ulster Cycle). When Arthur's sword breaks he knows it is not Excalibur and manages to defeat and kill Accolon. Morgan takes the magical scabbard in revenge and throws it into a lake; thus dooming Arthur in his final battle with Mordred. The sword has become more famous than the powerful scabbard and continues as a symbol of Arthur's virtue and power. Later works, including El Cid and the Song of Roland, draw on the symbolism of Excalibur for their heroes. J.R.R. Tolkien's famous trilogy of The Lord of the Rings relies on the symbolism of a sword of power which is broken and must be made whole to convey the concept of the return of the rightful king; a plot device which is similar to the Sword in the Stone motif where the land suffers after Uther Pendragon's death until the legitimate king is able to draw the magical sword from the stone. More than simply a literary device, however, Excalibur has come to represent the noblest aspects of the Arthurian legend. Although it is always described as a sword of power, that power is wielded in the best interests of the people, of justice, not in the self-interest of the king. Excalibur is given to Arthur through magical means, by the Lady of the Lake; it is not a weapon forged in this world but in another. The sword comes from this other realm and, once Arthur is defeated and dying, it must be returned there. This motif is not unique to the Arthurian legend but is borrowed from Celtic tradition in which the magical weapon must be returned to its source. In some versions of the story, the knight Sir Girflet, who has survived the final battle between Arthur and Mordred, is given the task of throwing Excalibur back into the lake; in Malory this falls to Sir Bedevere. Whether Girflet or Bedevere, Arthur's command that Excalibur be returned to where it came from goes unheeded twice since the knight he sends on the errand cannot see the sense in throwing away such a noble and powerful weapon. This failure on the part of one of Arthur's most trusted companions resonates with the Christian story of the betrayal of Christ by Judas, as it is intended to, and points to the same meaning: that the world cannot understand or appreciate the efforts of the divine will to help it rise to more than what it thinks it can be. Hamilton, E. Mythology. (Grand Central Publishing, 2011). Hamilton, R. & Perry, J. (translators). The Poem of the Cid. (Penguin Classics, 1985). Lindow, J. Norse Mythology. (Oxford University Press, 2002). Mathews, J. 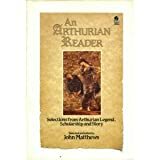 An Arthurian Reader. (Aquarian Press, 1988). Rutherford, W. Celtic Mythology. (Sterling Publishing, 1990). Sayers, D.L. (translator). The Song of Roland. (Penguin Classics, 1957). Tolkien, J.R.R. The Lord of the Rings. (Mariner Books, 2005). Mark, Joshua J. "Excalibur." Ancient History Encyclopedia. Last modified May 17, 2017. https://www.ancient.eu/Excalibur/. Mark, Joshua J. "Excalibur." Ancient History Encyclopedia. Ancient History Encyclopedia, 17 May 2017. Web. 25 Apr 2019. Written by Joshua J. Mark, published on 17 May 2017 under the following license: Creative Commons: Attribution-NonCommercial-ShareAlike. This license lets others remix, tweak, and build upon this content non-commercially, as long as they credit the author and license their new creations under the identical terms. Please note that content linked from this page may have different licensing terms.